Did Prince Harry and Meghan Markle Already Have Their Baby? Some Think So Here is Why! 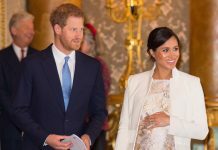 Earlier this week, Kensington Palace announced Prince Harry and Meghan Markle’s plans to keep their baby’s arrival under wraps. That means, the Duke and Duchess of Sussex most likely won’t stand on the steps of the Lindo Wing at St Mary’s Hospital (or wherever Meghan Markle decides to give birth) for a traditional photocall. It also means that Prince Harry and Meghan Markle could have already had their baby — or, at least that’s what some believe. 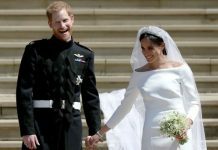 “The Duke and Duchess of Sussex are very grateful for the goodwill they have received from people throughout the United Kingdom and around the world as they prepare to welcome their baby,” Kensington Palace said in the statement. “Their royal highnesses have taken a personal decision to keep the plans around the arrival of their baby private. The Duke and Duchess look forward to sharing the exciting news with everyone once they have had an opportunity to celebrate privately as a new family,” they added. Did Prince Harry and Meghan Markle already have their baby? The publication confirms that many speculated Meghan Markle’s spring due date to be in late April or early May. But, they also noted that some believe the Duchess of Sussex was due much earlier, in late March. 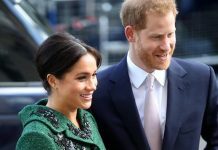 While these reports aren’t entirely inaccurate — the palace did confirm that the Duke and Duchess of Sussex will keep to themselves after their baby’s arrival — the claims don’t really add up. Prince Harry is expected to go on paternity leave following the birth of his firstborn. 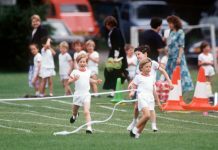 But, on Thursday, the Duke and Duchess of Sussex’s Instagram account shared a photo of Prince Harry on a royal engagement in Dagenham. Additionally, he attended the premiere of Our Plant at the Natural History Museum with his father, Prince Charles and brother, Prince William last week. On top of that, these early April reports surfaced before Kensington Palace’s confirmation of Meghan Markle’s birth plan. Which, judging by the language used (i.e. “look forward”) the royal baby has yet to make an appearance. That said, in the next coming weeks, it is entirely possible — especially if Prince Harry goes dark on social media and royal engagements — that the Duke and Duchess of Sussex will have their baby without the public’s knowledge. 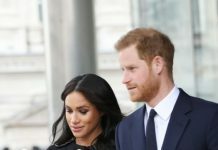 Kensington Palace’s statement made their plans clear, stating that they wish to remain in private as a new family of three before sharing the news with the rest of the world. Previous article27 Adorable Baby Photos Of Prince Harry As he and Meghan Markle prepare to welcome their first child, here’s a look at Harry’s early years.